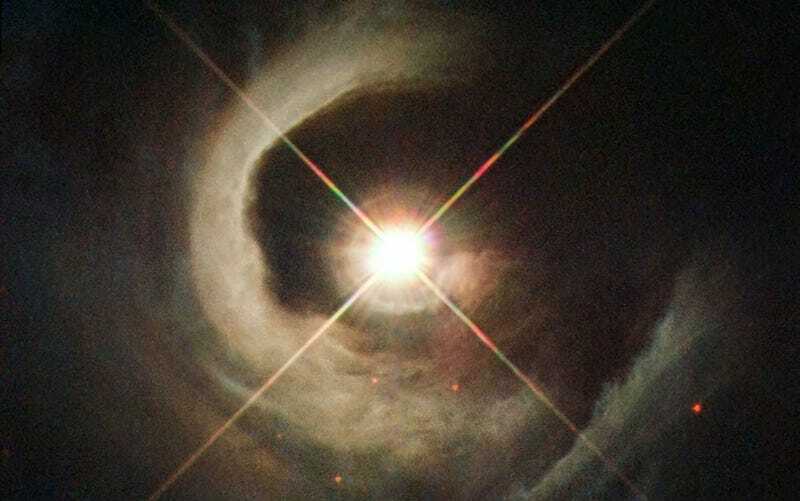 Behold V1331Cyg, a young star located 1,800 light-years from Earth. This object, which is illuminating the dark cloud around it in spectacular fashion, is in the process of contracting as it becomes a main sequence star similar to the Sun. This strikingly vivid image of a snail-like reflection nebula was recently captured by the Hubble Space Telescope. Reflection nebulae are clouds of interstellar dust which reflect the light of nearby stars. In this case, V1331 is illuminating Lynds 981, a dark cloud also known as LDN 981. For those of you wanting to make this your desktop background, go here to find various sizes and formats. Image credit: ESA/Hubble, NASA, Karl Stapelfeldt (GSFC), B. Stecklum and A. Choudhary (Thüringer Landessternwarte Tautenburg, Germany.